Incluces both the 5655 Spindle Lock and the 5633 Quill Stop in one easy, one-stop package. Makes tool changes easier, faster, and more convenient. Quick and accurate way to set quill depth of cut on 5500 Bench Top Mill. 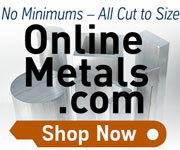 Set accurate and consistent depth of cut for repeated machining operations.